We helped the consulting company Learning Well migrating to Joomla 2.5 and gave them a new design and a good platform for the 2012 and 2013 to grow. Consulting company got new Joomla 2.5 and a new modern design! offices in five cities in Sweden. show a lot of information on small surfaces. 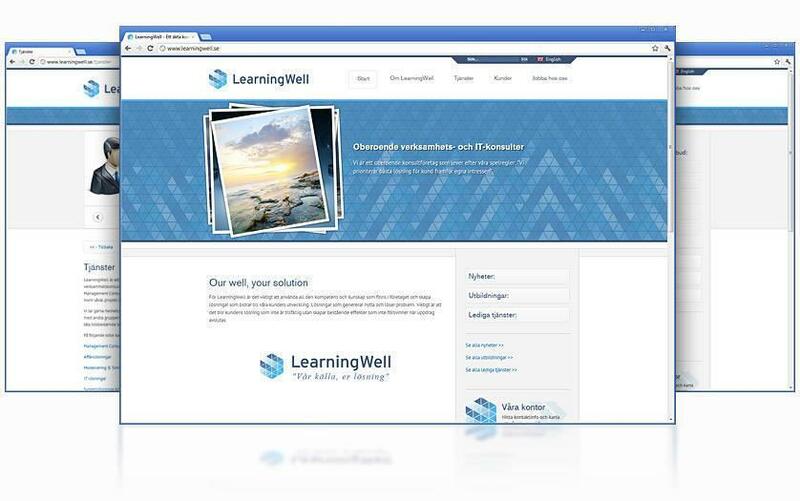 Visit Learning Wells website and see how it looks. We at Joomlaproffs designs without the use of templates and can therefore guarantee a unique page that always suits the customer.